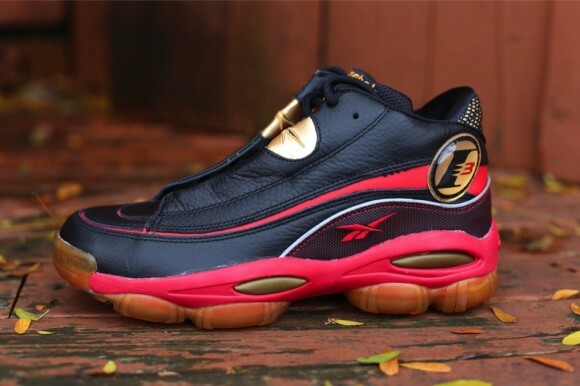 The Reebok Answer DMX 10 Black/Red-Gold edition is set to make it’s return later this Fall. This model features a Black tumbled leather base with Red and Metallic Gold accents sitting atop a DMX cushioning. The Reebok Answer DMX 10 is set to release on Friday, November 8th to select Reebok Classics accounts like Private Inc.
Shoe Will Be Available In Store & Phone Orders ON NOVEMBER 8 2013.